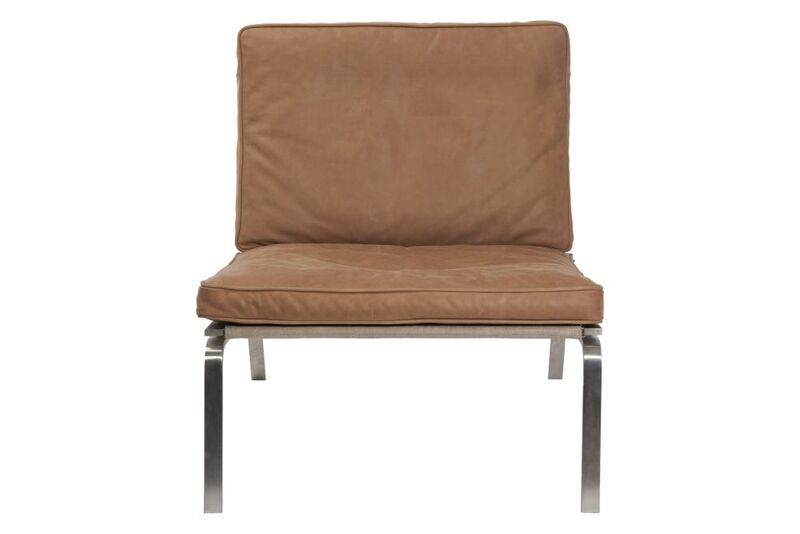 The Man Lounge Chair features a stainless steel frame with a seat and back made of Leather. The Man furniture series references the 1950’s - 1960’s Danish furniture design, a period that was inspired by Bauhaus where simple and clean shapes were in focus. Minimal detailing and stylish clean expression portray this style of design in the Man Series. The charismatic parallel frame and the visible joining of the materials clearly define the construction found in this series. The furniture of the Man series is suitable for open spaces as well as homely surroundings, where the furniture appears both decorative and functional. The Man Series is available with cushions in two varieties of quality leather, Premium Leather (available in five colours) and Vintage Leather (available in four colours).